There's so much things in NYC. Part 2 continues the journey in NYC with a list of places not to be missed out as well. Yes, this is Ground Zero - the location of the 9/11 terrorist attack. 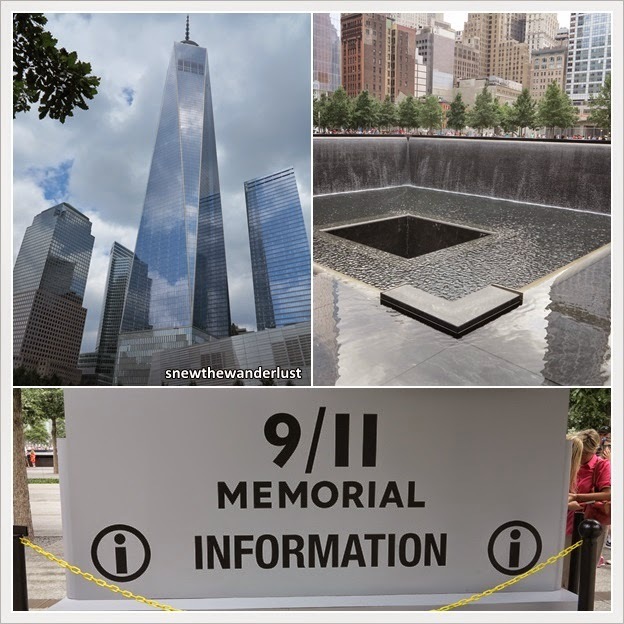 While plans to restore were announced 2 years after the attacks, the memorial only open doors to visitors in 2011, 10 years after the attack. The venue is now heavily guarded with NYPD. Couldn't find a place a safe than this in NYC! The names of every person who died in the terrorist attacks were inscribed in bronze around the twin memorial pools. The queue into the museum was very long and require an admission ticket. There were also specific timings to adhere to. Hence, we skip that and just toured around the memorial pools. We realised the need to plan the tour to the museum in advance. If you are planning to visit the memorial museum, do check out the tickets reservation on the website early. The streets of Chinatown is anything but boring. 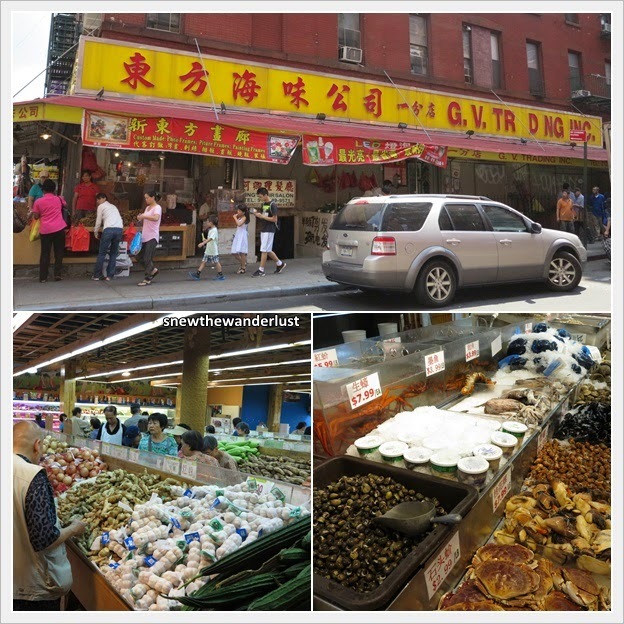 NYC Chinatown has one of the largest Chinese community outside Asia. I almost forgot that I'm in NYC while exploring the streets. 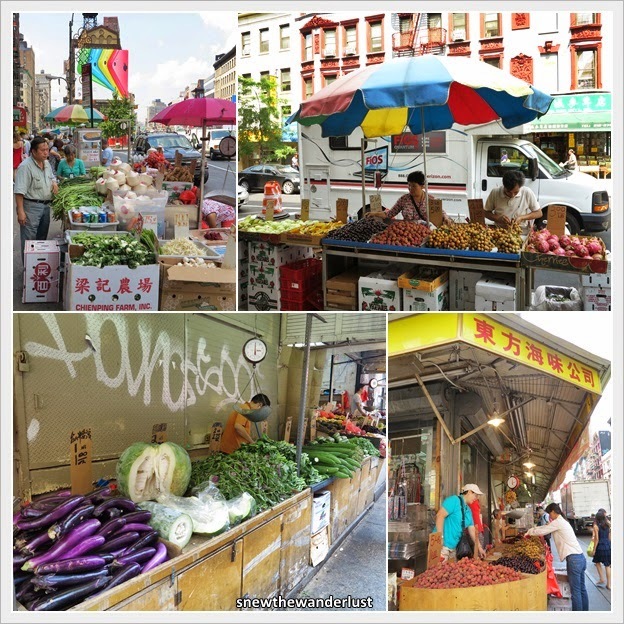 Take a leisure walk along the colourful Mott Street, Broome Street. We walk into these groceries shop and was amazed at the wide variety of food sold. Fruits, seafood, vegetables, cooked food such as roast pork, roast duck are all available at very reasonable price. No wonder people say that you get good deals at Chinatown. You can get a generous packed of roast meat lunch for US$5. This is probably cheaper than your McDonalds meal. Adjacent to this is Little Italy, which one can find lots of nice Italian restaurants. Lively area to venture in the evening. What's visiting NYC without shopping? A visit to the World's Largest legendary Macy's is a must! Just opposite Macy's is the Victoria's Secret flagship store. Just a block away, we venture into the K-Town, which is lined with rows of Korean restaurants. Well, but of course, the place not to be missed for shopping is Woodbury Common Premium Outlets. The shopping was so overwhelming good that I forgot to take any photos of the outlet shopping! It is probably the biggest outlet in USA. We couldn't finish shopping in one day, and went back on a second trip, barely struggling to cover most of the outlets. It takes slightly more than 1 hour to reach Woodbury Outlet. Gray Line and Short Line Coach runs daily return transfers from Port Authority Bus Terminal to Woodbury. We pre-purchase the tickets in advance to avoid the long queue in the morning. Check out Grayline website for more information.